About 1.25 million American children and adults have Type 1 Diabetes. The disease prevents the body from producing insulin, a hormone needed to get glucose (which gives the body energy) from the bloodstream into the cells. There’s no cure for Type 1 Diabetes. So, those living with it must manage their blood sugar levels through meals, which alters blood sugar levels, and through the night. If those levels get too high or too low, it can be life-threatening. Use glucose readings and guess the absorption time of food to predict the right insulin dosages, which left a lot of room for error. Frequently get up in the middle of the night to treat low or high blood sugar levels. For the most part, treat blood-sugar levels in a reactionary way, because she was unable to predict them. To make matters worse, her blood sugar data and insulin dosages were stored in separate places. This made it difficult for Sarah to analyze the data to adjust dosages and to share it with her doctor. Automatically adjusts Sarah’s insulin rates. Predict her blood sugar level for up to five hours using an algorithm. Connect to a cell phone app or Apple Watch to make monitoring blood sugar levels more convenient. Store all data together in one system for easy review. 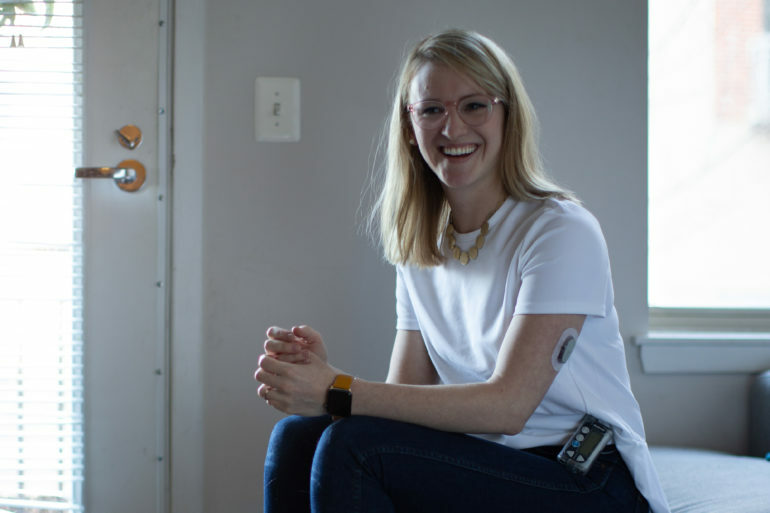 Adjust insulin rates automatically, while Sarah is sleeping. Sarah is just one of many Virginians benefiting from health care innovation.